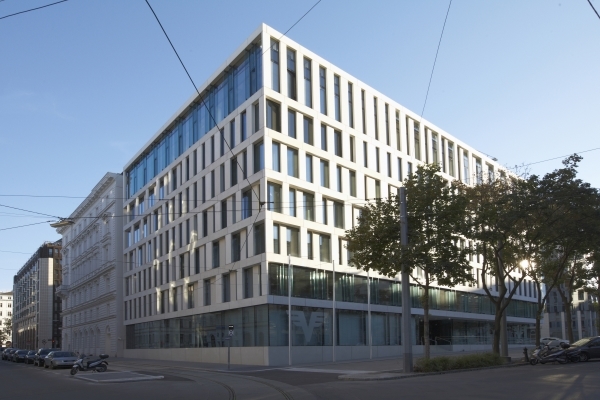 Volksbank Wien on 2 April successfully revived an inaugural AT1 transaction initially scheduled for October 2018, quickly executing a EUR220m perpetual non-call five transaction at 7.75%, a level seen as attractive by investors relative to benchmark AT1 from Austrian peers. Michael Santer, head of treasury and private banking at Volksbank Wien, spoke to Bank+Insurance Hybrid Capital about the improvement in fortunes. By way of background, how far you have advanced in the strategic re-orientation of the bank and what are your aspirations for the future? Michael Santer, Volksbank Wien: After taking over the role of the “central organisation” of the Association of Volksbanks in 2015, Volksbank Vienna and the other member banks of the Association agreed on a significant restructuring programme. Over the past couple of years, more than 60 individual banks were merged down to nine banks today. These nine banks are now serving 1.1 million customers in Austria, and 95% of our business is local business with retail and SME customers. With that, a lower cost base was achieved, and the Association made a net profit after taxes of EUR115m in 2018, compared to EUR61m in 2017. Further optimisation is going to be reached by centralising back-office functions. Our goal is to reach a cost-income ratio of 60% over the next three years. What is the strategic rationale for the inaugural CRR-compliant AT1 transaction, and your value proposition for AT1 investors? Santer, Volksbank Wien: As there was pretty much no AT1 outstanding, we took the opportunity to fill up our 1.5% RWA bucket with AT1 to optimise our capital structure. Investors appreciate our solely Austrian retail and SME business, and that we have delivered what was promised two years ago when offering Tier 2. The merger programme was successfully finished mid-2018, revenues have been increased, and our NPL ratio is now well below 3%. Our continuous work on optimising the Association’s structure and saving further costs shows our unabated willingness to become a modern cooperative banking group. You have succeeded in issuing both Tier 2 and AT1 while some other predominantly domestically-oriented banks within the Eurozone are struggling to approach investors. What are the main factors that you see behind your successful AT1 issue? Santer, Volksbank Wien: We did a lot of investor work behind the scenes after we had to experience tough market conditions in fall 2018. The outstanding Tier 2 issue and its good performance was of course helping with regards to name recognition and investor attention. However, we would agree with the view that the market for sub-benchmark transactions is extremely difficult. Many regular AT1 investors are not participating because of the illiquidity of such transactions, and not because of the credit or yield concerns. As an issuer, it takes some time to understand that it is easier to sell EUR500m than EUR250m, and that positive feedback on the credit doesn’t mean you’ll find the investor in the orderbook. What is your main takeaway from the completion of the AT1 issuance? 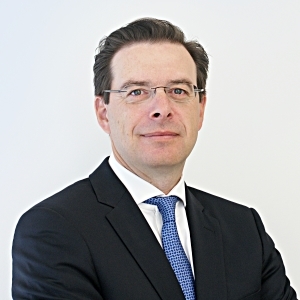 Santer, Volksbank Wien: That we had to postpone our deal last year was a wake-up call for us. We realised that it takes a lot of time to convince investors of your story and that you have to earn their trust. Senior management has to be fully engaged, and besides all the hard work, you have to pick the right time to tap the market. Following your successful debut of the Volksbank Wien name in the international debt capital markets in 2017 via an inaugural CRR-compliant Tier 2 transaction, you have in 2019 completed your inaugural covered bond and now the AT1 transaction. How does DCM funding fit in your overall ALM strategy and what are the next transactions that you will contemplate? What will be the main drivers for such transactions? Santer, Volksbank Wien: With our successful AT1 and Tier 2 transactions, we have increased our capital position according to our business plans. As mentioned, we used the opportunity to match the 1.5% RWA bucket. The Association had a loan growth rate of 5.7% in 2018, therefore our very well received inaugural covered bond transaction is supporting our strong funding base. In the covered bond market we want to become a regular issuer and our cover pool has sufficient collateral to issue at least one benchmark transaction every year. Further plans mainly depend on our MREL requirements, which have not yet been published by the SRB. A senior non-preferred transaction would be the logical next step, but we would not expect that to happen in the near future.